Apple announced on Monday that the new iPhone 4 will be available to new and current AT&T subscribers looking to upgrade their phone early. The 16GB version will be $199 and the 32GB will be $299. AT&T subscribers who use an iPhone will be given reduced pricing to upgrade to the iPhone 4 when it comes out on June 24th. Apple claims this offer will be granted to any who have their contract date in 2010, but as many users know, this will not be foolproof. CNET published a Q&A with AT&T’s spokesman Mark Siegel on Monday that answers many frequently asked questions subscribers may have. He recommended to ask AT&T sales representatives for the answers and the FAQ below answers questions including AT&T’s upgrade policy. Current iPhone subscribers are able to upgrade for the reduced prices on the iPhone 4 if their contract is up by the end of the year. What about customers whose contracts will expire next year? Will they be eligible for the reduced price six months before their contract ends? Upgrade eligibility is based on several factors, not only length of contract. For example, AT&T takes into account your spending level, whether you are a good customer who pays his bill on time, and how far you are into your contract to determine whether you can upgrade early. AT&T has said that it will allow existing iPhone customers who are eligible for an upgrade between June 7 and the end of this year to get the best pricing for the iPhone 4 with a two-year term commitment. Consumers can verify upgrade eligibility here. Business customers can verify upgrade eligibility at AT&T’s Premier site. Can a current iPhone subscriber, who is not yet eligible for an upgrade at the $199 or $299 price, get a reduced price on the iPhone 4 if he upgrades early? Yes, any current iPhone subscriber is eligible to upgrade early. The price of the phones will be $399 for the 16GB iPhone 4 and $499 for the 32GB iPhone 4. Subscribers will have to sign up for a new two-year contract. But what if the iPhone subscriber just got her iPhone a month ago. She still has two years left on her contract. Can she still get this reduced price on the new iPhone 4? Yes, she will still be able to upgrade for the early upgrade price. What about a current AT&T subscriber that is using a smartphone other than an iPhone, such as a BlackBerry or the Nokia E71x? Are these subscribers eligible for an upgrade six months before their contracts end like the current iPhone users? No, they are not eligible. Only current iPhone customers can upgrade six months early. All other AT&T subscribers must wait until their existing contracts expire. Can non-iPhone AT&T smartphone subscribers get the early upgrade price for the iPhone 4 before their current contracts expire? No, only current iPhone customers are able to get the early upgrade price. 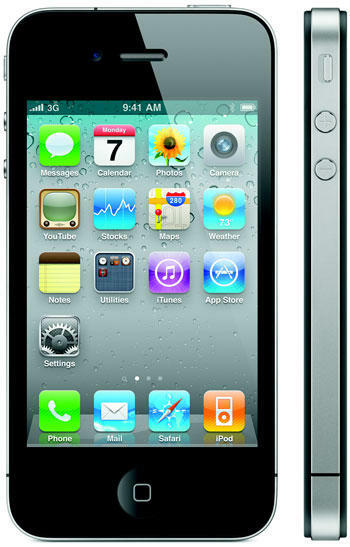 Is it possible to buy the new iPhone 4 from Apple at full price and not sign up for a data plan? No, that’s not possible. All iPhones purchased from AT&T or Apple in the U.S. must be activated with a data plan. But subscribers can pay full price for the phone and not be tied to a contract. They can simply pay for their service month to month. And they are free to cancel the service at any time if they have paid full price for the phone. Is it still possible to activate a used, hand-me-down IPhone 3G on AT&T’s network? Can non-iPhone smartphone subscribers keep their $30 unlimited data plans or must they subscribe to one of the new AT&T data plans that are capped at 200MB and 2GB? All current AT&T smartphone customers can keep their $30 unlimited data plan if they upgrade to an iPhone 4 once their contract expires. If one person in a family plan is eligible for an upgrade, but another person in the same family is not yet eligible for an upgrade, is it possible to get two new iPhone 4’s for the $199 or $299 price? Only the person whose phone is expiring is eligible for the upgrade. The other subscriber will have to wait until his phone is eligible. If one person in the family plan already has an iPhone and another person in the same family plan upgrades to the iPhone 4, can this new subscriber get the $30 unlimited data plan too? No, only the current iPhone subscriber is able to hold onto the $30 unlimited data plan. The new iPhone subscribers in the family plan must sign up for either the $15 200MB plan or the $25 2GB plan. Let’s say that I have an iPhone 3GS. I’m not eligible for an upgrade, but my husband who is on my family plan and has an LG flip phone is eligible for an upgrade. Can I use his upgrade to get a new iPhone 4 for $199 or $299 for myself? This is tricky. Technically, the answer is no. The upgrade is only for the subscriber whose contract is expiring. But a way to get around this is to “replace” the old LG phone with the iPhone 4. Then you can switch the phone numbers and continue to use the LG phone and reduce the service on that line. Is the new tethering plan flexible like the iPad 3G Plan? For example, can I activate it for 30 days or 60 days while I’m traveling or is it for the duration of the two-year contract? You can call AT&T’s customer service line or go online to the AT&T Web site to add the tethering service when you need it, and then you can remove it when you don’t need it. Once you have added tethering it costs $20 extra a month and you must sign up for the $25 2GB data plan. Can I use tethering with my existing unlimited data plan? No, you must switch to the 2GB $25 data plan if you use tethering on the iPhone. Can you tether the iPhone in a free AT&T Wi-Fi hot spot? For example, AT&T provides free Wi-Fi to iPhone owners in its 20,000 public Wi-Fi hotspots. But it does not extend to the laptop of the iPhone owner. If I’m using the Wi-Fi with the iPhone, can I tether the iPhone to my laptop and access the Internet via Wi-Fi also? No, you cannot do this. The free Wi-Fi is only for iPhones. Customers who are tethering must use the 3G network when they have the iPhone connected to their laptops. And they must pay the $20 tethering fee and the $25 2GB data fee.